Dragons endured a difficult night in Ireland as clinical Connacht swept to a bonus point victory at a cold and blustery Sportsground in Galway. The Dragons should have taken an early lead in the Guinness PRO14 encounter, with three clean line breaks missed in the opening quarter. They were made to pay for squandering chances as the hosts scored three tries in a devastating six-minute blitz and wrapped up the bonus point on the stroke of half-time for a commanding 26-0 lead. 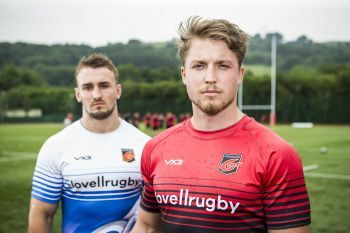 Hallam Amos, on his return from injury, scored after the interval and dynamic back row Taine Basham grabbed a last minute score as Dragons looked to rally. However, Dragons were instead left to ponder what could have been in a wasteful opening quarter as they turn their attentions to Edinburg on home soil at the end of the month. Jackman made three changes to his starting line-up with Amos named at outside centre and Joe Davies and Basham moving into the pack. And Davies was immediately in the action with a line break inside 60 seconds, but he could not find skipper Richard Hibbard racing up on his right shoulder. Errors from both sides undermined any attacking play in the first 15 minutes as Basham neatly side stepped his way into the 22 but Dragons handling let them down as they looked to take the ball on. The home side were applying plenty of pressure and keeping the ball alive at all costs before Basham did brilliantly to strip the ball in the tackle and dart away. Flanker Harri Keddie then found a huge defensive hole and raced down the middle, but the back row could not find support runner Rhodri Williams as play opened up. Basham then exploited quick hands from the back line to streak away down the right flank, but the decisive final pass failed to find Daf Howells when the opening try looked inevitable. That miss proved costly as Connacht struck three times in six painful minutes, the first with a powerful driving maul finished off by lock James Cannon and converted by Horwitz. Two minutes later a sniping break down the left was hacked into space before being shipped wide to Darragh Leader to slide over. A miserable spell was completed on the half hour as Connacht went from inside their own 22 and exploited gaps and several missed tackles to send back row Colby Fainga’a over. A disallowed try from Leader for offside was only a short respite as McCartney burrowed over – after a TMO consultation - for the bonus point. Scrum half Kieran Marmion had a try disallowed at the start of the second half as Connacht looked to keep the relentless territory up. Dragons, though, enjoyed long spells of possession in the second half, only to be repeatedly thwarted until a clever offload from James Thomas found Amos to race over on his return. Connacht looked to turn the screw in the set piece as the game wore on, but Dragons held firm under repeated examination. However, a neat side step from Tom Farrell, after more time in the Dragons’ 22, secured try number five. Dragons were determined to finish strongly and mustered one last energy sapping attack that took play several minutes into overtime before Basham crashed over for a consolation score.